Happy Tails Box for dogs you’ll find; toys and organic dog treats. For cats fashion items, grooming products, toys and treats. Every Month – there is a new handpicked selection of products for each Happy Tails box. It is not to be repeated again. Why the Happy Tails Box? Each box is designed to be a month’s worth of entertainment for both you and your best friend to enjoy together. It’s all about using the box contents to engage and enjoy the best things in life, which money can’t buy friendship, fun and happiness even if for that moment. The Happy Tails box Story? In today’s busy world, most of us are hard pressed for time and in most cases have to fight to make the time for the more important things in life. Sometimes there is just no time to shop for pet spoils, for this reason we work tirelessly to bring the very best products and brands from around the world to your doorstep so your fur family can be just as stylish as you are. 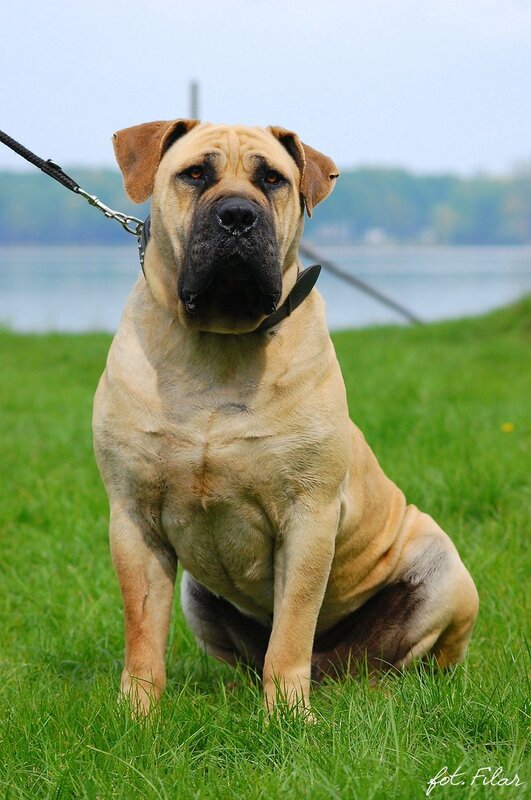 Our family pet is Zara a 75kg BoerBoel girl; she is a healthy bouncing bundle of sugar, spice, fun with a large dose of mischief. I don’t know about you but my dog knows when we go shopping and arrive home; I can sense that she wants to know what I bought for her. My Girl sniffs the whole car and again then she goes for the packets. I feel a bit guilty when I don’t have something to share with her, so we decided to look around and see if there was something we could get that would be an all in one fun box for the month with great premium products, all we could find at the time were overseas products. We at Happy Tails understand how busy life can get and sometimes there is just no time to shop for pet spoils, for this reason we work tirelessly to bring the very best products and brands from around the world to your doorstep so your fur family can be just as stylish as you are. What comes in a Happy Tails Box? Good question! Each monthly box contains a combination of 4-6 treats, toys, Chews and occasional hygiene products that have been hand selected and approved by Zara, our head product tester for Happy Tails Box J and her friends. Each month is thoughtfully crafted and each item is unique from anything we’ll ever send in a later box – variety is the spice of life, no? We put a great deal of thought, research, and time into creating each month’s box from only choosing high quality suppliers using top ingredients in their treats, to observing our own pets put the toys to the test. We’re really proud of our boxes because we know every item is something we’ve seen our pets not only enjoy, but benefit from stimulation wise and health wise. And that’s what our goal is – to make dogs and cats happy with healthy, life-enriching gifts each month. How Do I Join Happy Tails Box? P.S. All subscription plans are monthly, via debit order––much like a magazine subscription. Ok, exactly like a magazine subscription. How Much Does Happy Tails Box Cost? Our subscription plan is the very best deal. Why? If you subscribe up front, this allows us to plan ahead and also make larger donations to our partner shelter and rescues. How much does it cost? R650 per month for the Dog Box. R550 for the Cat Box. All orders can be tracked with ease online via our awesome delivery partners example Ram Couriers – delivered to you. Once Off Purchases: Delivery takes place 4 / 5 Days from date of dispatch. Subscription Boxes: Delivery takes place on the last week of the month usually between the 2oth to the 28th of each month. All Orders: Delivery takes place 4 / 5 Days from date of dispatch. Subscription Orders: Delivery takes place on the last week of the month usually between the 2oth to the 28th of each month. Orders that are placed between the 01st and the 10th of the month are received at the end of the month. All our subscription boxes are packed between the 15th and the 20th of the month. What happens to orders placed after the 10th of the month? Well they say the early bird gets the worm, just kidding. 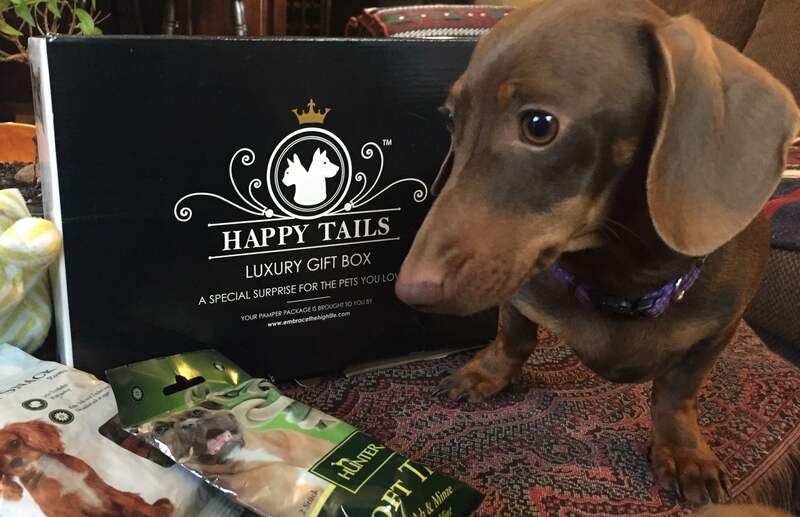 Each happy tails boxes have a handpicked selection of products for the month. We will try our very best to accommodate our awesome clients, in many cases depending on stock availability orders placed after the 10th of each month would roll over to the new month. What Are The Sizes? Can I Change The Size During My Subscription? Whether you subscribe to HappyTailsBox or buy it as a gift, we have carefully selected products that suit Dogs and Cats of most shapes and sizes. Yes! We have segmented our boxes further due to the needs of a growing market demand and our diverse subscriber base with equally diverse needs. You have the option to choose between Small and Cute (1-9 Kgs), Just Right (10-22 Kgs) and Big and Bold (23+ Kgs) during the sign-up process. Send us an email at hello@happytailsbox.co.za for any further questions.